Thoughtfully design thin straps Push-up bra with inflatable air extractable padding. Exclusive "inflate-deflate" volume adjustment system. 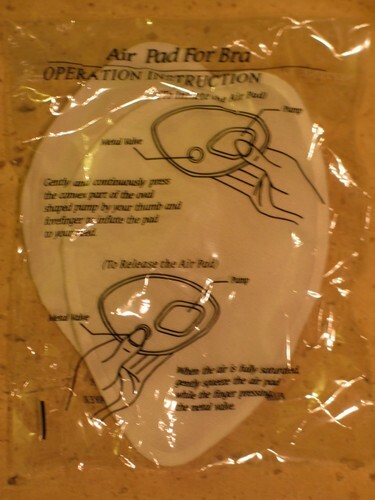 Get the cleavage size you've desired in seconds, just by inflating the air extractable padding. Bra is designed by an Italian bra-maker, Papillon by Ladyberg.